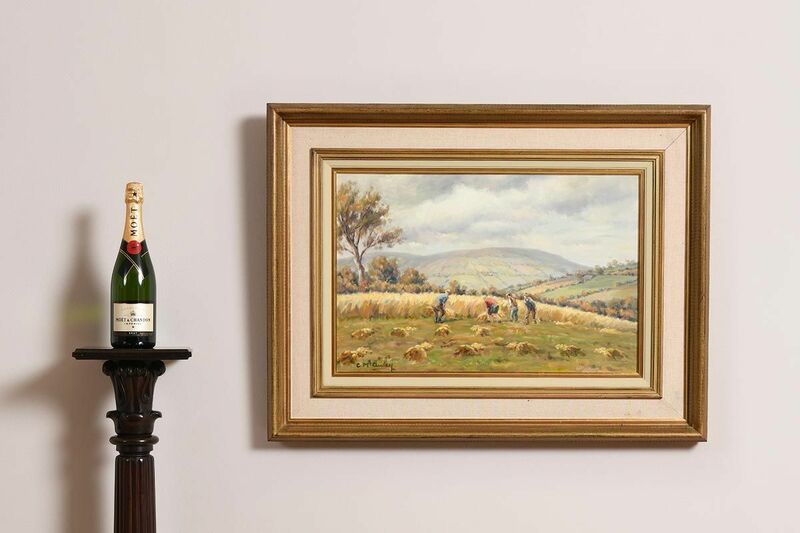 The Auctioneer (Morgan O Driscoll) carries on business on the following terms and conditions and on such other terms or conditions as may be expressly agreed with the Auctioneer or set out in any relevant Catalogue. Buyers and sellers are requested to carefully read the Cataloguing Practice and Catalogue Explanation set out below and any other Terms & Conditions which may be set out in any additional material and brought to their attention by the Auctioneer. 'Auctioneer' – Fastnet Estates Limited trading as Morgan O’Driscoll. 'Auctioneer's Commission' - The commission payable to the Auctioneer by the buyer and seller as specified in conditions 13 and 25. 'Catalogue' - Any advertisement, brochure, estimate, price or other publication in print or online. 'Forgery' - A Lot which was made with the intention of deceiving with regard to authorship, culture, source, origin, date, age or period and which is not shown to be such in the description set out in the Catalogue and the market value for which at the date of the auction was substantially less than it would have been had the Lot been in accordance with the Catalogue description. 'Hammer Price' - The price at which a Lot is knocked down by the Auctioneer to the buyer. 'Lot' - Any item which is deposited with the Auctioneer with a view to its sale at auction and, in particular, the item or items described against any Lot number in any Catalogue. 'Proceeds of Sale' - The net amount due to the seller being the Hammer Price of the Lot after deducting the Auctioneer's Commission along with the seller's contribution towards insurance, photography, cataloguing fee, such VAT as is chargeable and any other amounts due by the seller to the Auctioneer in whatever capacity howsoever arising. 'Registration Form or Register' - The registration form (or, in the case of persons who have previously attended at auctions held by the Auctioneer and completed registration forms, the register maintained by the Auctioneer which is compiled from such registration forms) to be completed and signed by each prospective buyer or, where the Auctioneer has acknowledged that a bidder is acting as agent on behalf of a named principal, each such bidder prior to the commencement of an auction. 'Sale Order Form' - The sale order form to be completed and signed by each seller prior to the commencement of an auction. 'Total Amount Due' - The Hammer Price of the Lot sold, the Auctioneer's Commission due thereon, such VAT as is chargeable and any additional interest, expenses or charges due hereunder. 'V.A.T.' - Value Added Tax. 'The first name or names and surname of the artist' - In the opinion of the Auctioneer a work by the artist. 'The initials of the first name(s) and the surname of the artist' - In the opinion of the Auctioneer a work of the period of the artist and which may be in whole or in part the work of the artist. 'The surname only of the artist' - In the opinion of the Auctioneer a work of the school or by one of the followers of the artist or in his style. 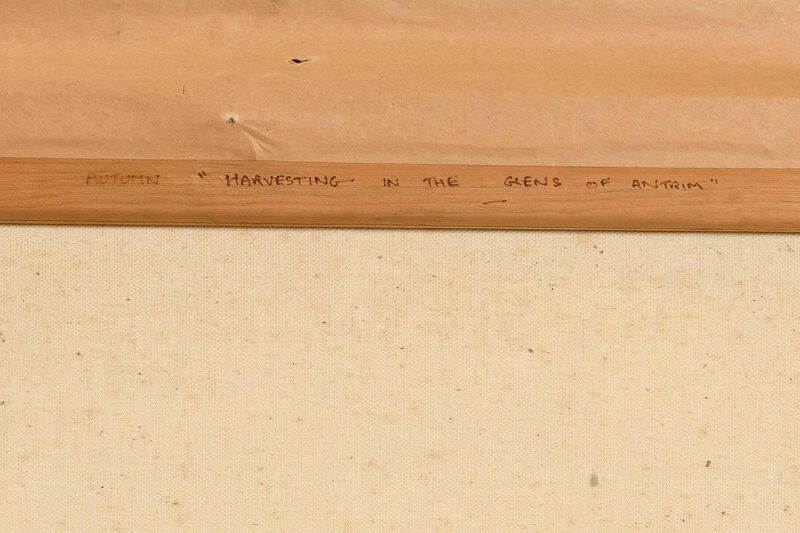 'The surname of the artist preceded by “after”’ - In the opinion of the Auctioneer a copy of the work of the artist. 'Signed'/'Dated'/'Inscribed' - In the opinion of the Auctioneer the work has been signed/dated/inscribed by the artist. 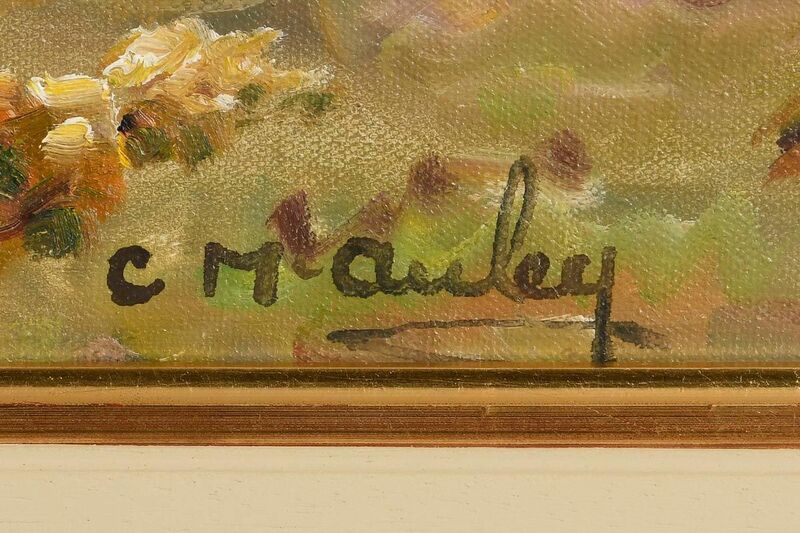 'With Signature'/'with date'/'with inscription' - In the opinion of the Auctioneer the work has been signed/dated/inscribed by a person other than the artist. 'Attributed to' - In the opinion of the Auctioneer probably a work of the artist. 'Studio of/Workshop of' - In the opinion of the Auctioneer a work executed in the studio of the artist and possibly under his supervision. 'Circle of' - In the opinion of the Auctioneer a work of the period of the artist and showing his influence. 'Follower of' - In the opinion of the Auctioneer a work executed in the artist's style yet not necessarily by a pupil. 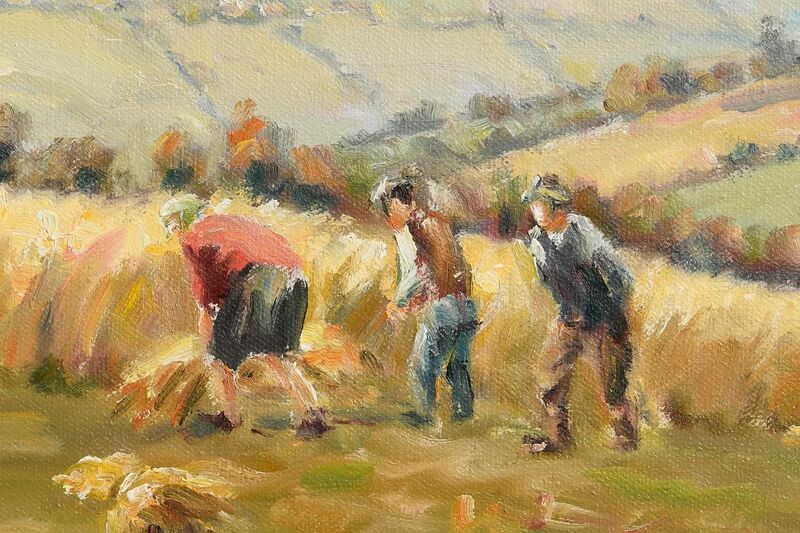 'Manner of' - in the opinion of the Auctioneer a work executed in artist's style but of a later date. Or none of the terms above are appropriate but in the Auctioneer's opinion the work is a work by the artist named. The Auctioneer is selling as agent for the seller unless it is specifically stated to the contrary. The Auctioneer as agent for the seller is not responsible for any default by the seller or the buyer. The auctioneer reserves the right to bid on behalf of the seller. It is suggested that the interests of prospective buyers are best protected and served by the buyers attending at an auction. However, the Auctioneer will, if instructed, execute bids on behalf of a prospective buyer. Neither the Auctioneer nor its employees, servants or agents shall be responsible for any neglect or default in executing bids or failing to execute bids. The Auctioneer shall have the right exercisable in its absolute discretion to refuse admission to its premises or attendance at its auctions by any person. The Auctioneer shall have the right exercisable in its absolute discretion to refuse any bids, advance the bidding in any manner it may decide, withdraw or divide any Lot, combine any two or more Lots and, in the case of a dispute, to put any Lot up for auction again. Any indemnity given under these conditions shall extend to all actions, proceedings, claims, demands, costs and expenses whatever and howsoever incurred or suffered by the person entitled to the benefit of the indemnity and the Auctioneer declares itself to be a trustee of the benefit of every such indemnity for its employees, servants or agents to the extent that such indemnity is expressed to be for their benefit. Representations or statements made by the Auctioneer in any Catalogue as to contribution, authorship, genuineness, source, origin, date, age, provenance, condition or estimated selling price or value is a statement of opinion only. Neither the Auctioneer nor its employees, servants or agents shall be responsible for the accuracy of any such opinions. Every person interested in a Lot must exercise and rely on their own judgment and opinion as to such matters. The headings of the conditions herein contained are inserted for convenience of reference only and are not intended to be part of, or to effect, the meaning or interpretation thereof. These conditions shall be governed by and construed in accordance with Irish Law. Any notice or other communication required to be given by the Auctioneer hereunder to a buyer or a seller shall, where required, be in writing and shall be sufficiently given if delivered by hand or sent by post to, in the case of the buyer, the address of the buyer specified in the Registration Form or Register, and in the case of the seller, the address of the seller specified in the Sale Order Form or to such other address as the buyer or seller (as appropriate) may notify the Auctioneer in writing. Every notice or communication given in accordance with this condition shall be deemed to have been received if delivered by hand on the day and time of delivery and if delivered by post three business days after posting. The buyer shall be the highest bidder acceptable to the Auctioneer who buys at the Hammer Price. Any dispute which may arise with regard to bidding or the acceptance of bids shall be settled by the Auctioneer. Every bidder shall be deemed to act as principal unless the Auctioneer has prior to the auction, acknowledged in writing that a bidder is acting as agent on behalf of a named principal. The buyer shall pay the Auctioneer a commission at the rate of 20% of the Hammer Price, exclusive of VAT at the applicable rate on all individual lots. Unless credit terms have been agreed with the Auctioneer before the auction the buyer of a Lot shall pay to the Auctioneer within two days from the date of the auction the Total Amount Due. Notwithstanding this, the Auctioneer may, in its sole discretion, require a buyer to pay a deposit of 25% of the Total Amount Due at the conclusion of the auction. The Auctioneer may apply any payments received by a buyer towards any sums owing from that buyer to the Auctioneer on any account whatever regardless of any directions of the buyer or his agent in that regard whether express or implied. Notwithstanding delivery or passing of risk to the buyer the ownership of a Lot shall not pass to the buyer until he has paid to the Auctioneer the Total Amount Due. (h) To exercise a lien on any property of the buyer in the possession of the Auctioneer for whatever reason. Prior to auction ample opportunity is given for the inspection of the Lots on sale and each buyer by making a bid acknowledges that he has, by exercising and relying on his own judgment, satisfied himself as to the physical condition, age and Catalogue description of each Lot (including but not restricted to whether the Lot is damaged or has been repaired or restored). All Lots are sold with all faults and imperfections and errors of description. Neither the seller, the Auctioneer nor any of their employees, servants or agents shall be responsible for any error of description or for the condition or authenticity of any Lot. No warranty whatsoever is given by the seller or Auctioneer or by any of their employees, servants or agents in respect of any Lot and any condition or warranty express, or implied by statute or otherwise is hereby specifically excluded. The only method of establishing at the time of the auction in question that the Lot was a Forgery would have been by means of scientific processes which were not generally accepted for use until after the date of the auction or which were unreasonably expensive or impractical. The buyer's sole entitlement under this condition is to a refund of the actual amount paid by him in respect of the Lot. Under no circumstances shall the Auctioneer be liable for any damage, loss (including consequential, indirect or economic loss) or expense suffered or incurred by the buyer by reason of the Lot being a Forgery. The benefit of this condition shall be solely and exclusively for the buyer and shall not be assignable. The buyer shall for the purpose of this condition be the person to whom the original invoice in respect of the sale of the Lot is made. The buyer authorises the Auctioneer at any time to make use of any photographs or illustrations of the Lot purchased by the buyer for such purposes as the Auctioneer may require. New VAT Regulations - All lots are sold within the Auctioneer’s VAT margin scheme. Revenue Regulations require that the buyer’s premium must be invoiced at a rate which is inclusive of VAT. This VAT is not recoverable by any VAT registered buyer. (v) To determine what illustration of a Lot (if any) is to be included in the Catalogue. The seller warrants to the Auctioneer and to the buyer that he is the true owner of the Lot or is legally authorised to sell the Lot on behalf of the true owner and can transfer good and marketable title to the Lot free from any third party claims. As regards Lots not held by the Auctioneer on its premises or under its control the seller warrants and undertakes to the Auctioneer and the buyer that the Lot will be available and in a deliverable state on demand by the Auctioneer or buyer. The seller shall indemnify the Auctioneer and the buyer or any of their respective employees, servants or agents against any loss or damage suffered by any of them in consequence of any breach of the above warranties or undertakings by the seller. Subject to the Auctioneer's discretion, the seller shall be entitled prior to the auction to place a reserve on any Lot. All reserves must be agreed in advance by the Auctioneer and entered on the Sale Order Form or subsequently be confirmed in writing to the Auctioneer prior to auction. This also applies to changes in reserves. A reserve may not be placed upon any Lots under €150 in value. The reserve shall be the minimum Hammer Price at which the Lot may be sold by the Auctioneer. A reserve once in place may only be changed with the consent of the Auctioneer. A commission shall be charged on the 'knock-down' bid for Lots which fail to reach the reserve price. Such commission shall be 5% of the 'knock-down' bid . This commission and any VAT payable thereon must be paid before removal of the Lot after the auction. The minimum commission hereunder shall be €50. The Auctioneer may in its sole discretion sell a Lot at a Hammer Price below the reserve thereon but in such case the Proceeds of Sale to which the seller shall be entitled shall be the same as they would have been had the sale been at the reserve. Unless a reserve has been placed on a Lot in accordance with the provisions set out above such Lot shall be put up for sale without reserve. In the event that any reserve price is not reached at auction then for so long as the Lot remains with the Auctioneer and to the extent that the Lot has not been re-entered in another auction the seller authorises the Auctioneer to sell the Lot by private treaty at not less than the reserve price. The Auctioneer shall ensure that in such a case those conditions herein which concern mainly the buyer shall, with any necessary modification, apply to such sale. 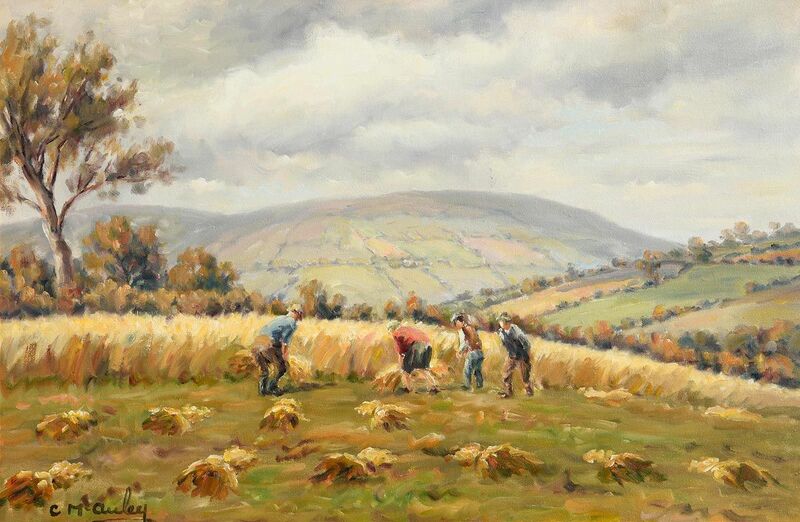 The Seller shall pay the Auctioneer commission at the rate of 15% on the Hammer Price of all Lots sold on behalf of the seller at Irish Art Sales and 18% on all other Sales together with VAT thereon at the applicable rate. Minimum charges are detailed below. The seller authorises the Auctioneer to deduct from the Hammer Price paid by the buyer the Auctioneer's Commission under this condition; VAT payable at the applicable rates and any other amounts due by the seller to the Auctioneer in whatever capacity howsoever arising. The seller agrees that the Auctioneer may also receive commission from the buyer. Minimum Charges: Each individual lot is subject to a minimum fee of €3.00 plus VAT, with a minimum charge per account of €50.00 plus VAT. Unless otherwise instructed by the seller, all Lots (with the exception of motor vehicles) deposited with the Auctioneer or put under its control for sale shall automatically be insured by the Auctioneer under the Auctioneer's own fine arts policy for such sum as the Auctioneer shall from time to time in its absolute discretion determine. The seller shall pay the Auctioneer a contribution towards such insurance at the rate of 1.5% of the Hammer Price plus VAT . If the seller instructs the Auctioneer not to insure a Lot then the Lot shall at all times remain at the risk of the seller who undertakes to indemnify the Auctioneer and hold the Auctioneer harmless against any and all claims made or proceedings brought against the Auctioneer of whatever nature and howsoever and wheresoever occurring for loss or damage to the Lot. The sum for which a Lot is covered for insurance under this condition shall not constitute and shall not be relied upon by the seller as a representation, warranty or guarantee as to the value of the Lot or that the Lot will, if sold by the Auctioneer, be sold for such amount. Such insurance shall subsist until such time as the Lot is paid for and collected by the buyer or, in the case of Lots sold which are not paid for or collected by the buyer by the due date hereunder for payment or collection such due date or, in the case of Lots which are not sold, on the expiry of seven days from the date on which the Auctioneer has notified the seller to collect the Lots. 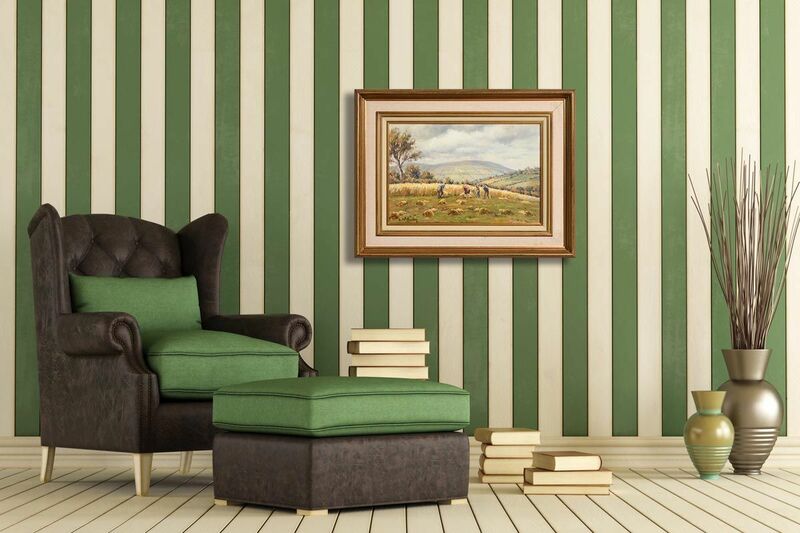 Catalogue illustrations are included at the discretion of the Auctioneer. Illustration charges will be calculated on the particular category of sale. These charges are subject to change. If before the Auctioneer has paid the Proceeds of Sale to the seller the buyer proves to the satisfaction of the Auctioneer that the Lot sold is a Forgery the Auctioneer shall rescind the sale and refund to the buyer any amount paid to the Auctioneer by the buyer in respect of the Lot. The Auctioneer shall remit the Proceeds of Sale to the seller not later than thirty (30) days after the date of the auction, provided however that, if by that date, the Auctioneer has not received the Total Amount Due from the buyer then the Auctioneer shall remit the Proceeds of Sale within seven working days after the date on which the Total Amount Due is received from the buyer. If credit terms have been agreed between the Auctioneer and the buyer the Auctioneer shall remit to the seller the Proceeds of Sale not later than thirty (30) days after the date of the auction unless otherwise agreed by the seller. If before the Total Amount Due is paid by the buyer the Auctioneer pays the seller an amount equal to the Proceeds of Sale then title to the Lot shall pass to the Auctioneer. If the buyer fails to pay the Auctioneer the Total Amount Due within fourteen (14) days after the date of the auction, the Auctioneer shall endeavour to notify the seller and take the seller's instructions on the course of action to be taken and, to the extent that it is in the sole opinion of the Auctioneer feasible, shall endeavour to assist the seller to recover the Total Amount Due from the buyer provided that nothing herein shall oblige the Auctioneer to issue proceedings against the buyer in the Auctioneer's own name. If circumstances do not permit the Auctioneer to take instructions from the seller or, if after notifying the seller, it does not receive instructions within seven (7) days, the Auctioneer reserves the right, and is hereby authorised by the seller at the seller's expense, to agree special terms for payments of the Total Amount Due, to remove, store and insure the Lot sold, to settle claims made by or against the buyer on such terms as the Auctioneer shall in its absolute discretion think fit, to take such steps as are necessary to collect monies due by the buyer to the seller and, if necessary, to rescind the sale and refund money to the buyer. If the seller resides outside Ireland the Proceeds of Sale shall be paid to such seller in Euro unless it was agreed with the seller prior to the auction that the Proceeds of Sale would be paid in a currency (other than Euro) specified by the seller in which case the Proceeds of Sale shall be paid by the Auctioneer to the seller in such specified currency (provided that that currency is legally available to the Auctioneer in the amount required) calculated at the rate of exchange quoted to the Auctioneer by its bankers on the date of payment. All payment instructions must be in writing. Once catalogued. Lots withdrawn from sale before proofing/publication of Catalogue will be subject to commission of 5% of the Auctioneer's latest estimate of the auction price of the Lot withdrawn together with VAT thereon and any expenses incurred by the Auctioneer in relation to the Lot . If Lots are withdrawn after proofing or publication of Catalogue they will be subject to a commission of 10% of the Auctioneer's latest estimate of the auction price of the Lot withdrawn together with VAT thereon and any expenses incurred by the Auctioneer in relation to the Lot. All commission hereunder must be paid for before Lots withdrawn may be removed. Where any Lot fails to sell at auction the Auctioneer shall notify the seller accordingly and (in the absence of agreement between the seller and the Auctioneer to the contrary) such Lot may, in the absolute discretion of the Auctioneer, be re-entered in the next suitable auction unless instructions are received from the seller to the contrary, otherwise such Lots must be collected at the seller's expense within the period of thirty (30) days of such notification from the Auctioneer. Upon the expiry of such period the Auctioneer shall have the right to sell such Lots by public auction or private sale and on such terms as the Auctioneer in its sole discretion may think fit. The Auctioneer shall be entitled to deduct from the price received for such Lots any sums owing to the Auctioneer in respect of such Lots including without limitation removal, storage and insurance expenses, any commission and expenses due in respect of the prior auction and commission and expenses in respect of the subsequent auction together with all reasonable expenses before remitting the balance to the seller. If the seller cannot be traced the balance shall be placed in a bank account in the name of the Auctioneer for the seller. Any deficit arising shall be due from the seller to the Auctioneer. Any Lots returned at the seller's request shall be returned at the seller's risk and expense and will not be insured in transit unless the Auctioneer is so instructed by the seller. The seller authorises the Auctioneer to photograph and illustrate any Lot placed with if for sale and further authorises the Auctioneer to use such photographs and illustrations and any photographs and illustrations provided by the seller at any time in its absolute discretion (whether or not in connection with the auction). It is presumed unless stated to the contrary, that the items listed herein are auction scheme goods as defined in the Finance Act 1995. There is no charge if you collect from one of our offices. If you wish to collect from our Dublin Office, located in the Lis Cara Business Centre, 51/52 Fitzwilliam Square. Office hours are 9.00am to 5.00pm Monday to Friday (excluding any Bank Holidays). Firstly, please notify the Shipping Department, located in the Morgan O’Driscoll Head Office, that you will be collecting from the Dublin Office. Telephone 028 22338 or email info@morganodriscoll.com your items will be wrapped and transported to the Dublin Office within 10 - 14 days of the auction. Items won in an In-room (Live) Auction will be available for collection at the end of the auction. Please allow at least thirty minutes after your lot has sold, before coming to the desk to make a payment and collect your item (s). This gives the MOD staff time to update the system and of course wrap your works of art. Items can be collected at the Dublin Office from 11.00 am the next day, Auctions are typically held on a Monday night, collection in Dublin would be from 11.00 am on the Tuesday. There are many factors taken into consideration to determine the proper shipping method, including weight, value, type of lot and distance it must travel. If you avail of the Morgan O’Driscoll, in-house shipping department, once we have instruction from you, correct delivery address and payment. We will ship at the earliest time. After an Online Auction, usually held on a Monday, items can be ready for shipping from the Wednesday. After an In Room (Live) Auction, usually held on a Monday, items can be ready for shipping from the Thursday. All items are stored and shipped from Head Office in Skibbereen . It is possible to ship a number of items in one parcel and pay only one shipping charge. Please request insurance if required. For shipping within the European Union and the rest of the world please request a quotation. If any import or export licences are required it is up to the customer to arrange this at their own expense. Our shipping department is available to help with any enquiries you may have. Any item that has not been collected or not arranged for shipping shall be liable to a storage charge (1% of the hammer price or a minimum of €15.00 per item per week). All items are stored at Head Office at No.1 Ilen Street, Skibbereen, Co Cork. 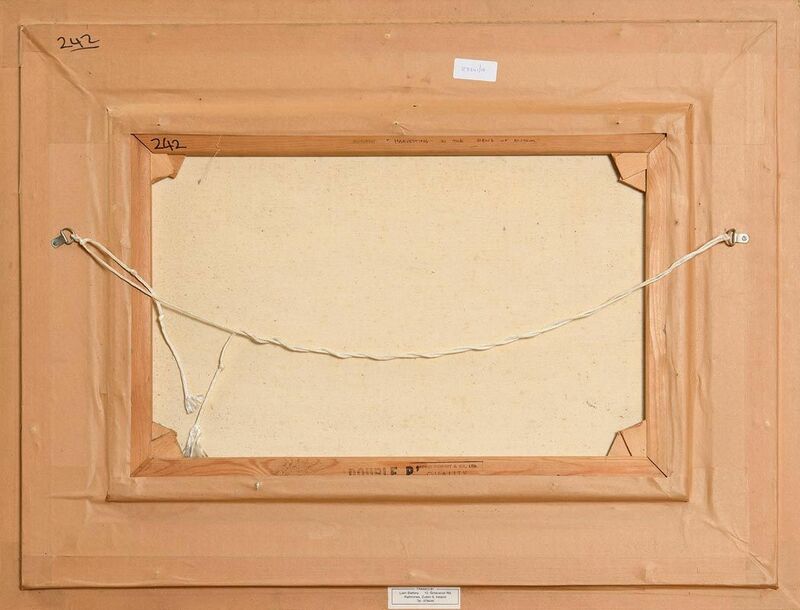 All due care and attention will be paid to the packing, shipping and storage of your framed work(s) of art. 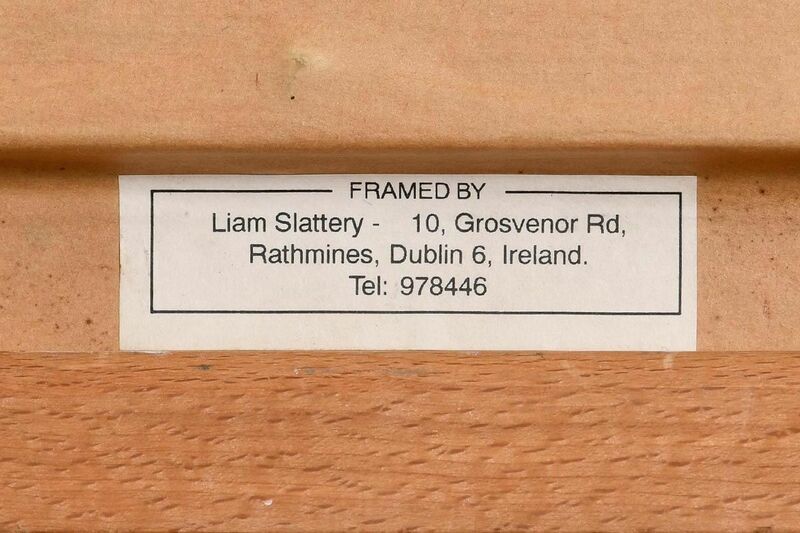 Unless you have instructed us to remove the glass from the frames, where the work of art is framed with glass, the Shipping Department of Morgan O’Driscoll will package the item(s) in such a way as to prevent damage, within reason. Items with glass are not insured for damage to the glass. 8. The buyer shall be responsible for all packing and shipping costs for the purchased property. Purchased Lots may be packed and handled by the Auctioneer, its employees, servants or agents. Where this is done it is undertaken solely as a courtesy to buyers and at the discretion of the Auctioneer. Under no circumstances shall the Auctioneer, its employees, servants or agents be liable for damage of any kind and howsoever caused to glass or frames nor shall the Auctioneer be liable for the errors or omissions of, or for any damage caused by, any packers or shippers which the Auctioneer has recommended. Morgan O'Driscoll lets you make a secure payment online using your debit or credit card. The Authipay system is fully secure, and no card details are stored by Morgan O'Driscoll. To make a payment all you need to do is enter the invoice number and the amount to pay below and click submit. You will then be taken to the card entry section within Authipay where your payment will be processed. Where applicable we use Verified by Visa and SecureCard to safeguard your payment. Currently we can only ship to registered cardholder addresses. Please note that payments made by credit card will incur a 2% surcharge. We have produced a series of video tutorials which explain how to use the main features of our website, including how to register and bid. Click here to view our tutorials. If you have not bought at Morgan O’ Driscoll’s Online Auctions before please read the following guide. To buy an item at Morgan O’ Driscoll’s Online Auctions, you must create an account and login. Once logged in you are ready to bid on any of the lots. An essential read are the Online Terms and Conditions and Terms and Conditions of Business. The auctioneer calls out for and accepts bids following a regular pattern, known as standard increments. As the price gets higher, the increments increase in size. While the auctioneer will generally use the increments below, the auctioneer may decide to change the increment, and this decision is at his or her discretion. Placing a bid before the auction begins is typically referred to as an absentee bid. This allows you to get in on the action ahead of the live bidding that takes place when the auction kicks off. You can place an absentee bid on a lot in a live sale, up until the time that lot is opened for live bidding. If you are the highest absentee bidder, the auctioneer will place your bid, one increment higher than the last in-room bid, until we have reached your maximum bid. When you find a lot you’d like to bid on, download the Absentee Bid Form enter the Date of Sale, Lot Number, Description and the maximum amount you are willing to bid, your name, address, telephone number and sign the form. By signing the form you are agreeing to our terms and conditions. 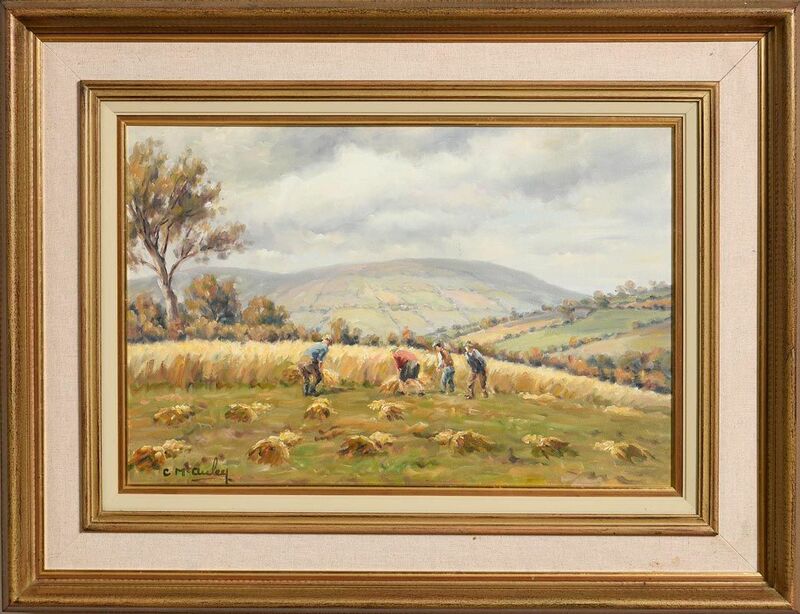 Post the form to arrive at least one week before the auction too: Morgan O’Driscoll, 1 Ilen Street, Skibbereen, Co Cork. Ireland. Make sure you do not leave it too late. Alternatively, fill in the form, scan it and email it to info@morganodriscoll.com this can be done up to one hour before the auction commences. If you are attending one of the previews, please ask for an Absentee Bid Form, one will be provided, fill it in and then make sure you hand it to a member of the Morgan O’Driscoll Team who will enter it into the system. The amount you are willing to bid is the amount excluding the buyer’s premium & VAT. When you submit the bid you are also registering for the auction, a paddle number will then be provided for you. Online or Timed auctions are internet-only auctions that run from a set time. These auctions allow you to place bids from the time the catalogue goes live, usually two weeks before the auction, until the scheduled end time for a particular item. Each lot has a specific end time. These auctions allow you to place bids for a particular lot or several lots, if a bid is placed within the last five minutes of the allotted time, the timer is reset for another five minutes, allowing emails to be sent to interested parties, so they can place another bid, this prevents sniping. If no further bids are placed within the last five minutes, the highest bidder wins that lot. The five minute rule means the timer is reset every time a bid is placed within the last five minutes, until such a time as no further bids are placed. Whoever has the highest bid when the time runs out wins the lot. The date and time you see listed for Online auctions are the time that bidding on the first lot ends. You can place a maximum bid on an item, if you are outbid, the system will email you to inform you that you have been outbid and invite you to make another bid if you so desire. Bids on Online auctions can be made at any time from when the catalogue is made live on the Morgan O’Driscoll website, if you are registered with us you will be sent an email indicating that the latest auction has been made live. Timed auctions allow auctioneers to set reserves for their items, as they aren’t there to monitor the bidding live. A reserve is the minimum price that an auctioneer will sell their item for. Depending on bids placed, a “Result – amount in euros” or “Result - Not Sold” message will display. If the reserve price has not been met by the time the auction ends, the item will not be sold. This will show you a list of your active bids. Also if you go to the lot you are bidding on, whilst Logged into your account, the information there will tell you if you have the current winning bid. If you get outbid an email will be sent immediately to you. You can also view ‘Winning Bids’ from previous auctions, showing what you have purchased. For In Room (Live) Auctions: You can cancel an absentee bid placed in an In Room (Live) auction up until the start of the auction. For Online (Timed) Auctions: You cannot cancel a bid that has been placed on the Morgan O’Driscoll website. Occasionally, for objects of high value, the consignor and auction house will make a contractual agreement on a minimum price, or reserve. If an item does not meet the reserve, it will not be sold. Property may also be offered without a reserve, meaning that there is no minimum price, or the minimum is at the auctioneer’s discretion. The reserve on any item is never higher than the lower auction estimate given. For example, if an item has an auction estimate of 1500.00 to 2000.00, the reserve will not be higher than 1500.00. This does not mean the reserve is set at 1500.00, the reserve price is private and confidential, known only to the auctioneer and consignor. Being the highest bidder on an item means that you currently have the highest bid on that Lot. For Live Auctions: If you are bidding online being the highest bidder on a lot in a live sale is not a guarantee that you will win the item, as your bid will be competing with live floor bids. The Invaluable system will place bids on your behalf on increment until your maximum bid amount is reached. If your absentee bid was highest, your bid history will show you the time when your bid was presented to the internet clerk during the live auction. In the event of two absentee bids having the same maximum, the winning bid will be the first one entered into the system. Due to the slight delay of internet bidding at a live In Room Auction, a person bidding in the room may win the lot as the hammer falls, even if a higher bid was placed online at that exact same moment. Once the hammer falls the Lot is sold. The Auctioneer has the final say. The Auctioneer has the right to refuse bids. The Auctioneer has the right to make bids on behalf of the seller of the Lot, up to the reserve price. For Online (Timed) Auctions: If you are the highest bidder when a lot in an Online (timed) auction closes for bidding, you will be the winning bidder of that item, provided any reserve has been met. If an item has not sold during an auction, you can of course make an offer. Items usually do not sell because they have not met their reserve price. At an In Room (Live) Auction, if you are present, please wait until the very end of the sale, then approach either the Auctioneer or a member of staff and ask about the lot you are interested in. Or you can go to the website, www.morganodriscoll.com find the lot you are interested in and click on the make an offer button. With Online auctions, simply find the lot that interests you, in the online catalogue and click on the make an offer button. In the days after an auction you can also contact the Team at MOD either by telephone 00353 (0) 28 22338 or email info@morganodriscoll.com and discuss the unsold lot you would like to make an offer on. The purchaser shall pay the hammer price together with a buyers’ premium of 20% plus VAT @ 23% (24.6% incl. VAT). For live Online Bidding through the Invaluable website, there is a further 3% service charge. If you are not receiving emails from info@morganodriscoll.com please check the junk / spam folder in your email application. Add info@morganodriscoll.com to your safe senders list. You will be notified by email that you successfully bid for a lot / lots, an Invoice will be sent outlining the Hammer Price and Commission payable.